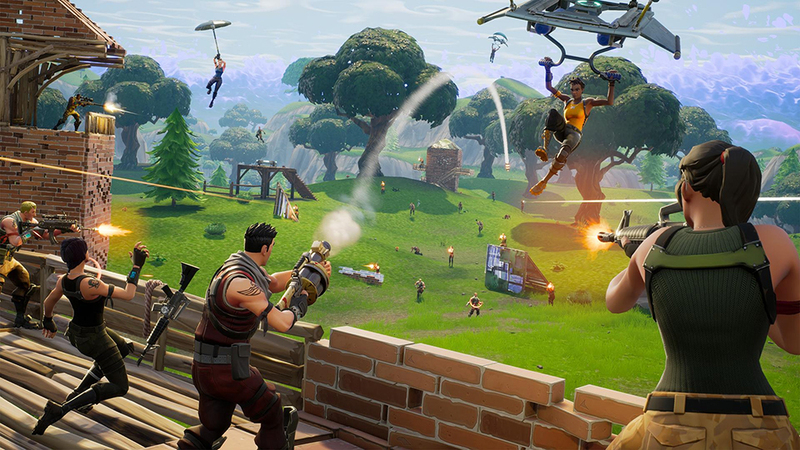 Battle royale shooter Fortnite is the most-played video game on the planet, with PC, console and iOS gamers logging on in their tens of millions to try and win one of its 100-player, last-man-standing matches. Android users are yet to get in on the act, but they won’t have to wait much longer: Fortnite on Android is due to launch in the coming months, reportedly as early as August 24. Here’s everything you need to know about the gaming phenomenon coming to your phone or tablet. What is Fortnite on Android? The mobile version is the full game you know and love from PCs and consoles, with the same weapons, the same map and an identical update schedule. The controls are adapted for touchscreen, with some actions automated to make it less fiddly, including picking up items and opening doors. Elements of the UI are different too, with extra building buttons popping up, and there are both on-screen footstep and gunshot indicators to tell you the direction of any nearby sounds. Other than that, it’s the same game. Epic has not yet announced an exact release date, but has said it is “targeting this summer”, and its website says the Android version will be out “within the next few months”. However, reports from both XDA Developers and 9to5Google have said that Fortnite on Android will arrive later this month, coinciding with the release of the Samsung Galaxy Note 9. Sources have told both websites that the phone will hit stores on August 24, and that Fortnite on Android will be available exclusively on the device for 30 days after that. It will then unlock for other Android phones on September 23. The websites also report that buying the Note 9 will net you free V-Bucks (as much as $150 / £115 / AU$200 worth), skins, and more. Samsung is due to unveil the Note 9 at an event on August 9, so we’ll no doubt find out more then. What devices will be compatible with Fortnite on Android? Again, Epic hasn’t provided much information on which phones will be able to run Fortnite, but XDA Developers dug around in the source code for the game’s website to uncover a list of around 40 supported devices. That list is just to the side here, but remember: it’s likely that more devices will be supported when Android on Fortnite comes out. Phones that should be capable of running it aren't listed – such as the Huawei P20 Pro, OnePlus 6 and LG G7 ThinQ – and no Android tablets are mentioned either. How will you install the game? Not through the Play Store, if the source code for the game’s website is anything to go by. Again, XDA Developers poked around and discovered lines that tell the player to “download and install Fortnite through your browser”, and takes you through steps that are “necessary to install any app outside of the Play Store”. This has since been verified by Epic, who announced that players would need to download a dedicated install file from epicgames.com onto their phone if they wanted to play the game. But why would Epic Games make it so complicated to download it? Why would Epic keep the Android version off the Play Store? It’s certainly a bold decision—the Play Store is where Android users get the vast majority of their apps, and so by not being there, Epic potentially loses some players. But Fortnite is a huge household name, and perhaps the developer is hoping players won’t mind taking a few extra steps to get it on their phone. Besides, by forcing players to download the game through its website, Epic doesn’t have to share any of the money it makes from in-app purchases with Google. If Fortnite was on the Play Store, Google would take a 30% slice, as Apple does with the iOS version. An official press release cited Epic's desire to build a "direct relationship" with its players – while acknowledging the "economic efficiency" of circumventing Google's store tax entirely. Considering that Fortnite on iOS has just passed 100 million downloads and cleared $160 million from in-app purchases, swerving the Play Store may prove to be a smart business decision. 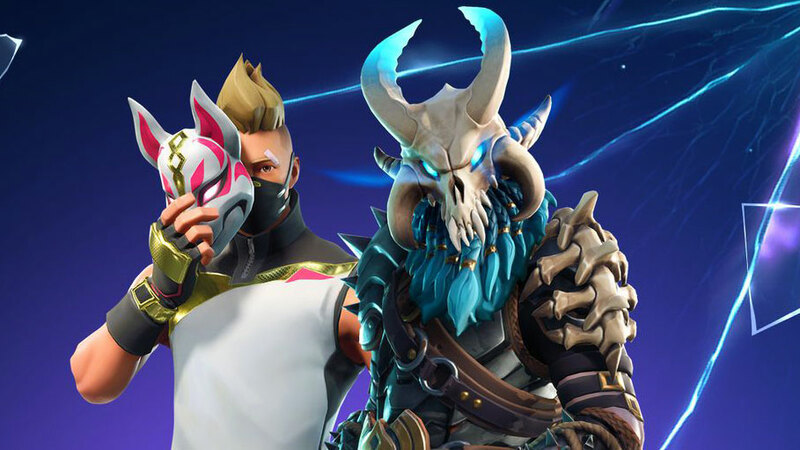 Will Fortnite on Android support cross-play with iOS, PCs and consoles? Yes – Fortnite on Android will be compatible with iOS, PC, PS4 and Xbox One versions of the shooter, so you’ll be able to squad up with your friends on other platforms. Epic has not said whether cross-play for Android will be available at launch, or whether it will arrive later. Will there be a Fortnite on Android beta? Again, no word on this. If reports that the Android version will first launch as a 30-day timed exclusive on the Samsung Galaxy Note 9 are true, then this could act as a beta, replacing the invite-only period that Epic implemented when the iOS version first came out. Stay tuned to this page for updates as-and-when they happen.